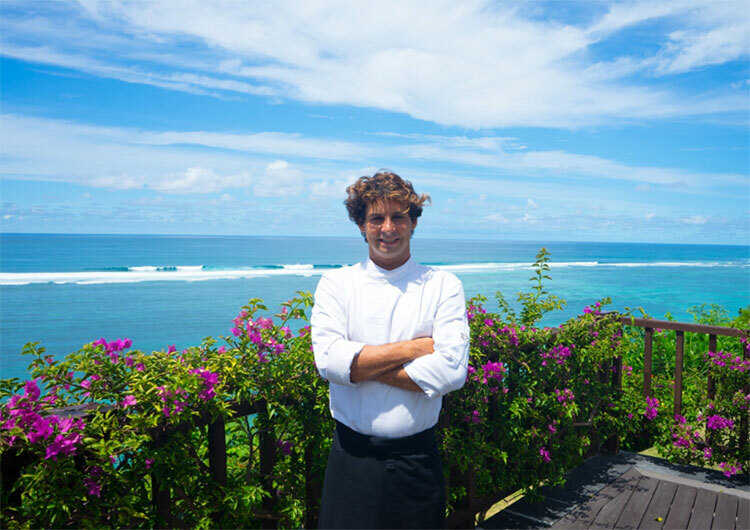 (Bali, April 2019) - Samabe Bali Suites & Villas is located atop the cliff of Nusa Dua, the southern part of Bali or well known for its luxury All Inclusive concept, announces the hiring of a new Executive Sous Chef, Juan Pablo Marquez as he will lead the culinary team of Crystal Blue Ocean Grill. He will also be responsible for the restaurant’s menu, quality and standard. Switzerland, Stagier – The Ledbury London, Park Gstaad Hotel Switzerland, W Hotel Barcelona, and Mandarin Oriental Hyde Park London, it gives Chef Juan a plethora of knowledge and luxury culinary experience. With his enthusiastic and proactive attitude in this capacity, Chef Juan looks forward to explore his creativity and will share his knowledge in culinary industry. Samabe Bali Suites & Villas, a luxury all inclusive resort, sits atop of the southernmost cliff of Nusa Dua. Introducing a new concept of all-inclusive package called “Unlimited Privilege”, it offers unsurpassed luxury with unlimited food and beverage, Samabe Signature Activities, high quality amenities and facilities through its 81 suites & villas, private service from seasoned butler, and more. Samabe Bali Suites &Villas takes a stab at highlighting its guests’ vacation in Bali.